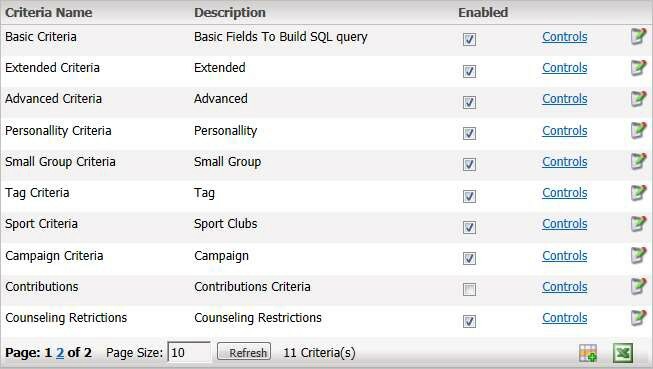 Click the Criteria Controls link to display the criteria sections available for the List Type and the Controls link to display the individual fields. You can enable or disable a criteria section and/or specific criteria controls. Arena honors field security as specified in the List Wizard module which applies to both My and Public Lists. 1. 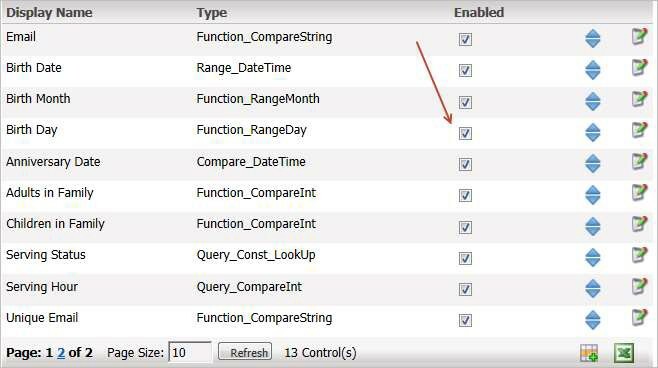 From the Administration menu, click the List Configuration option located under the CONFIGURE heading. 2. Click the Criteria Controls link for a List Type, as desired. 3. Click the Controls link for the List type you wish to modify. 4. Select the appropriate check box of the criteria you wish to enable or disable. 6. Refresh cache and verify. 2. Click the Criteria Controls link for the Report Type you want to modify. 3. Click the Controls link for the Criteria Group you want to modify. 4. Click the Edit icon of the Module you want to change. 5. 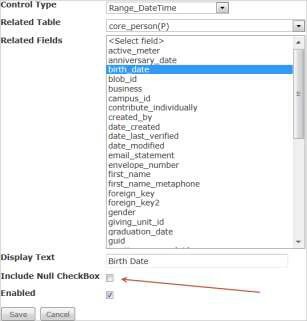 Select the Include Null check box. This option is not available to all criteria. 2. Click the Criteria Controls link for a specific Report Type. 3. Click the Controls link that uses Lookup values (e.g., Member Status). 5. Select the Active Lookup Only check box.